I was lucky enough to get my hands on the BagSmith's new super chunky yarn Blissa thanks Rebecca! 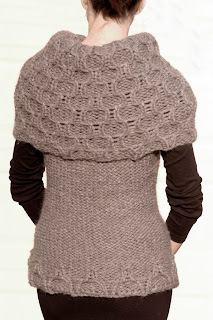 and I am so in love with this yarn! 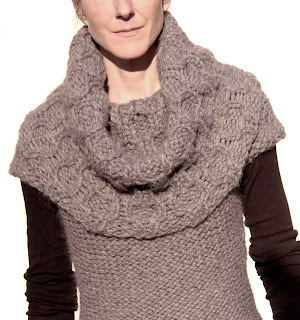 It's an absolutely gorgeous alpaca85%/extra-fine merino10% & polyamide5% blend that has a nice loftiness to it thanks to it's crocheted tubular structure. It still has some alpaca heft but not nearly what you would expect, even at 85%. 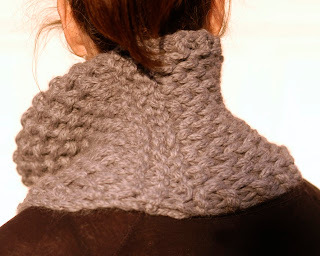 It is a pricey yarn, but if you are in the mood to spoil yourself buy some! The minute I felt this yarn, I knew I wanted it wrapped around me and if I were a rich woman I would make a throw for every room in my house it's that sumptuous! I decided instead the next best thing would be a sweater with a nice big collar see photos below and since I had a skein left over a simple cowl. 1 skein of Blissa (130 yds) splurge you deserve it! 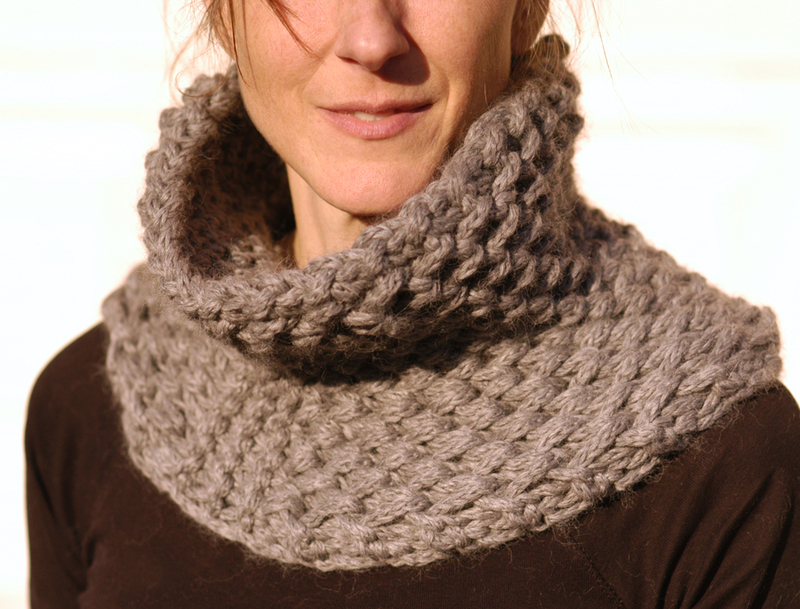 This cowl is worked flat in a Brioche Honeycomb stitch with 2 panels of garter stitch evenly placed. The cowl is grafted together on a garter stitch row although if you don't know how to graft or want to avoid it use a 3 needle BO or sew it together. 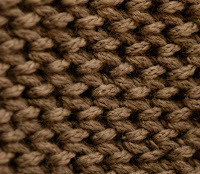 K1B aka double stitch: insert the right needle through the center of the stitch below the next stitch to be knit so that both are knit at the same time. The “sl stitch” in row 4 refers to the stitch that “slips” out of the loop when you knit the stitch below it. Using a provisional (invisible) cast on, cast on 16sts and work in Brioche Honeycomb pattern for 10" (25.5cm) slipping the 1st st of every row. 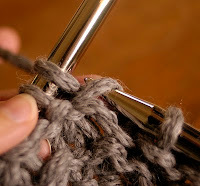 (Slipping the 1st stitch of every row although not necessary will give a nice clean edge. 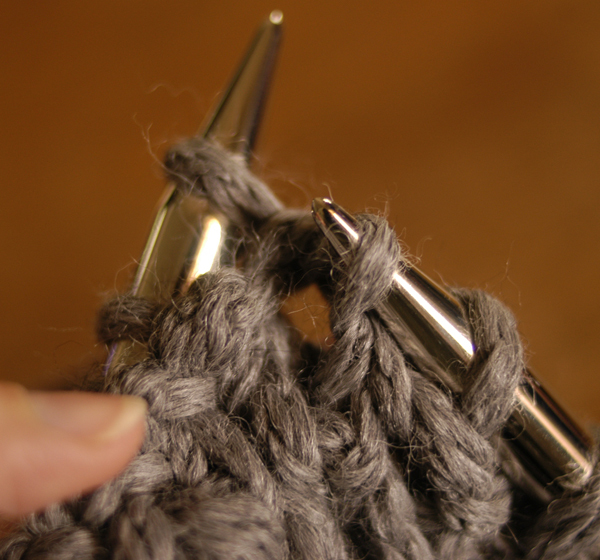 If slipping the 1st st of every row, K the last stitch of every row to maintain the stitch pattern. 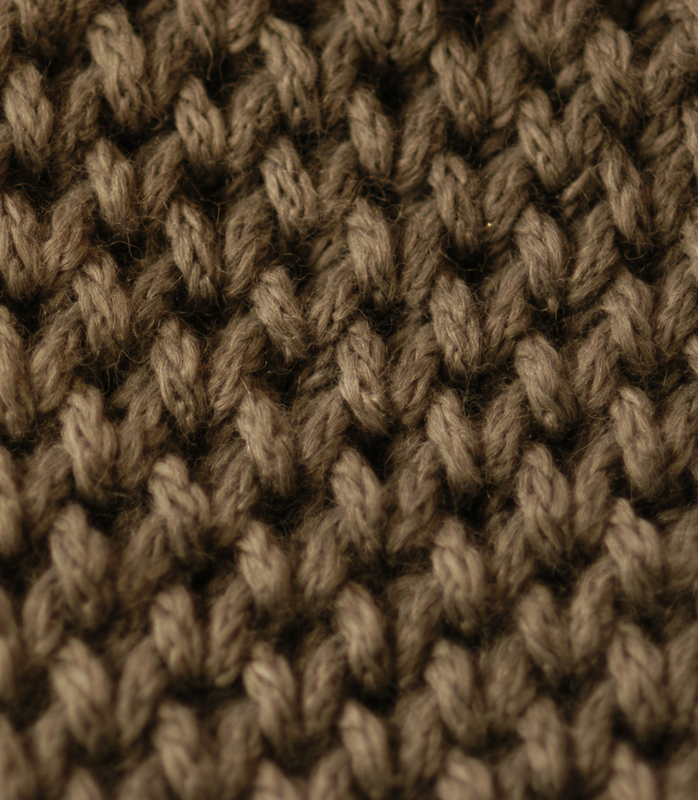 If not slipping the 1st st work the Brioche Honeycomb stitch across all 16 sts). 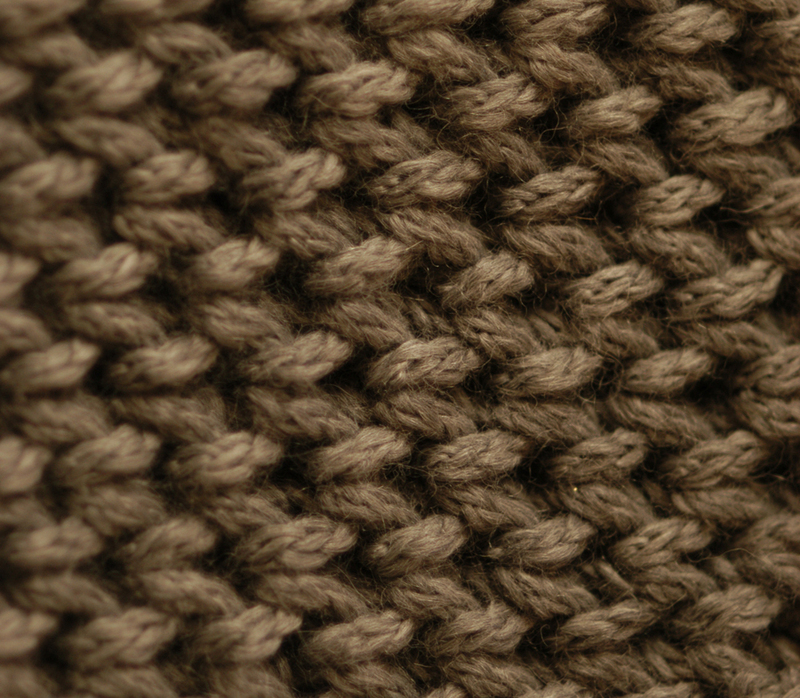 Work Garter stitch (k every row) for 6 rows. 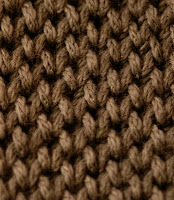 Work 2 rows of Garter stitch. Pick up stitches from the invisible cast on and graft together (or 3 needle BO) with last Garter stitch row. 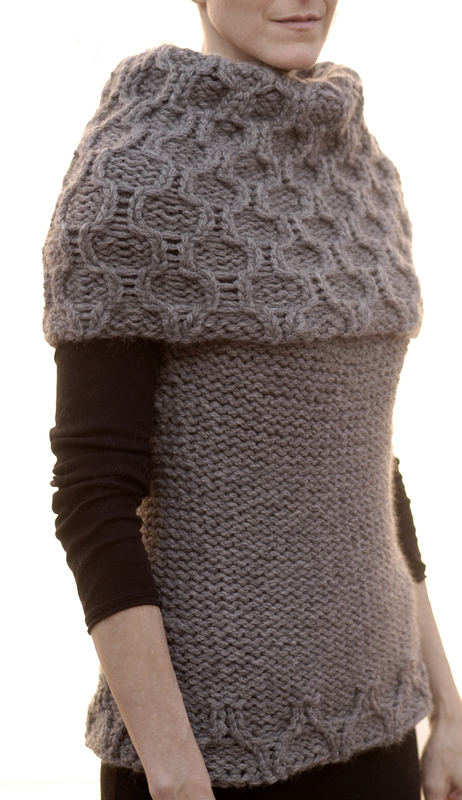 Here's the Trellis Collar Sweater. I should have the pattern posted in the next couple of weeks. This is a hard one to take off because you feel so wonderful wearing it! And last but not least, Happy Birthday to my baby! 2 years goes by too quickly! wow, both the cowl and the sweater are really cool!! you have such an amazing eye for texture. 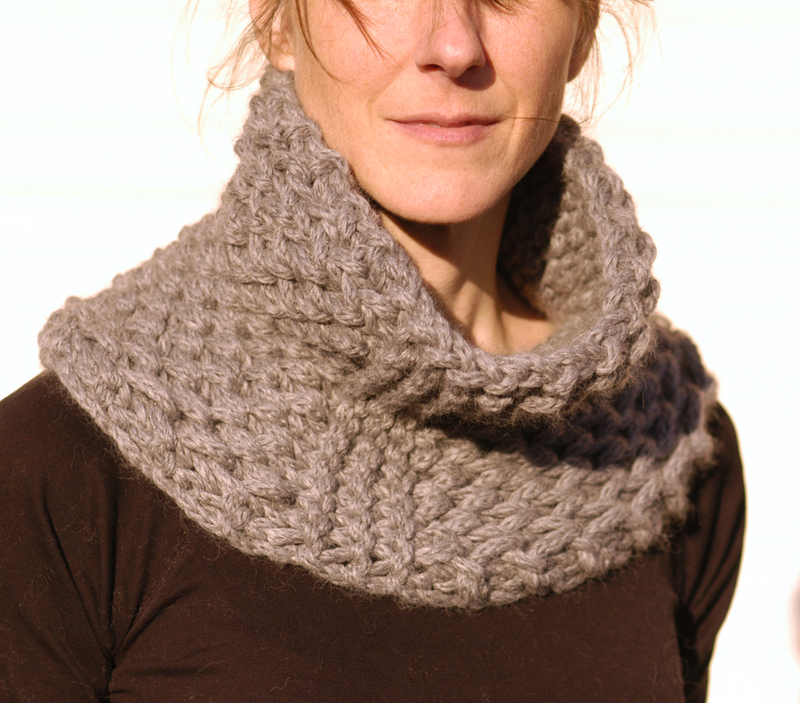 Both the cowl and the sweater pattern are very cool. I love their proportion and drape. Thanks for sharing! 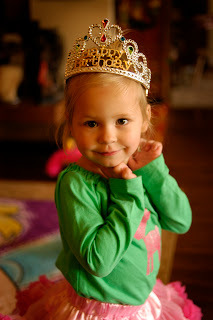 OMG is she two already ?! 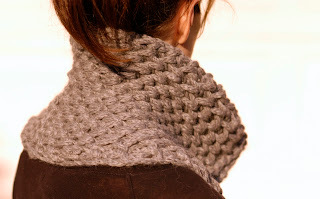 and would love to learn how to do the honeycomb stitch. I like the big sleeves on this, it adds another element to the sweater. OMG I just love the Smart Cardigan. It is beautiful, simple lines and very stylish. You have done an amazing job. I cannot wait to get in on the 2 in 1 socks. I will try them and see how I do. You're 2 hours' drive north of me.